AMD's Zen chip is just around the corner; it'll first come to gaming systems any day now. There's a lot of excitement about Zen, which AMD believes is its most important chip this decade. The high-performance Zen could put AMD back on the map as a legitimate competitor to rival Intel. AMD's chips in recent years haven't been as sophisticated as Intel's offerings, but Zen could bring AMD up to par. The AMD faithful are salivating over Zen, and even some Intel chip enthusiasts can't wait to give it a try. AMD CEO Lisa Su has said Zen would be available in a few gaming systems by the end of the year, but it doesn't look like that's going to happen. A more likely scenario is that systems will start coming early next year. 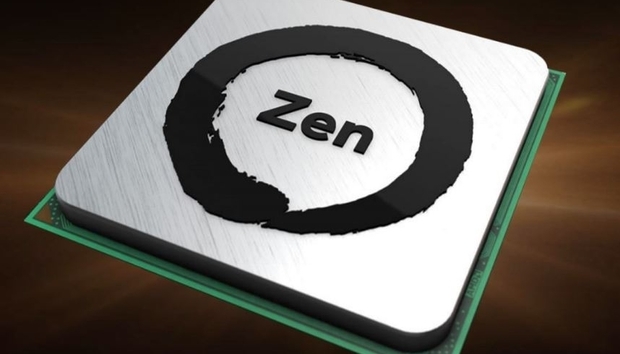 Zen chips for servers will follow in the first half of next year, with Zen for laptops and other desktops coming later. Will it meet the benchmarks? AMD claims Zen delivers an instructions-per-clock performance that's 40 percent faster than the current Excavator architecture. That's a key performance metric, and much better than the 10 percent to 20 percent CPU performance gains Intel has delivered in its new chips in recent years. AMD believes performance gains were ignored as chip makers placed more focus on power efficiency and graphics features. And indeed, the 40 percent performance improvement is what has people excited about Zen. Now we'll have to wait to see if that number matches up to results from independent benchmarks. Will PC makers use it? Dell's Alienware is devoted to Intel in its gaming PCs, and they don't use CPUs or GPUs from AMD. When AMD releases Zen, Alienware will test it, and take into account the performance, cost, and design considerations before actually deciding whether to use it. But Alienware has standardized on Intel, and it takes a long time to design and deliver PCs around new chips. However, some other PC makers like HP and Acer may have Zen designs ready. Those companies are using AMD's newest laptop chips code-named Bristol Ridge, which are socket-compatible with Zen. All HP and Acer would have to do is swap out old Bristol Ridge chips with the new Zen chips. Will it deliver on power efficiency? AMD's challenge in designing Zen was to bring up performance while reducing power consumption. The company met that goal by relocating voltage regulators and shortening the distance data traveled while being processed. Now the question is: Will the chips manage to retain battery life in laptops while delivering a high-level of performance? Battery life also depends on the display and graphics, which can draw a lot of power. But the battery life can be an indicator of how power efficient a chip is. Will it support newer technologies? Many cool technologies like 3D Xpoint memory and storage are on the horizon, while Thunderbolt 3 is already here. Gamers will especially love 3D Xpoint, which can buffer parts of the game so it loads much quicker. Will we see AMD PCs with 3D Xpoint? There's a good chance we will because Intel has said the storage is compatible with NVMe slots. 3D Xpoint products will also come from other vendors using technology from Micron, which worked with Intel in developing the new form of storage and memory. We haven't yet seen an AMD laptop with a Thunderbolt 3 port, though the chipmaker is warming up to the technology. Will Zen put AMD back on the map? Intel has been running away with the PC and server chip markets, and AMD's gambling that Zen will help it revive its glory days. AMD gave Intel a run for its money when it introduced 64-bit server chips in 2003 and dual-core chips in 2004. Both of those innovative chips gave AMD a competitive advantage, and Intel had to scramble to catch up. A string of disastrous chips later, AMD lost its PC market share, and it is virtually non-existent in servers. It's so far succeeding under Su, who's managed to put AMD chips in key gaming consoles from Microsoft and Sony. But it's yet to be seen if Zen will save the company in PCs and servers. The company 's restart in the server market has gone well, with it claiming to have attracted many key server designs for Zen chips. AMD has also licensed the architecture to a Chinese joint venture THATIC (Tianjin Haiguang Advanced Technology Investment Co. Ltd.).